The Australian dollar retreated during today’s Asian trading in an otherwise quiet session, where other majors were relatively stable. The US dollar was left wondering when the much-speculated interest rate increase by the Federal Reserve would take place, following Janet Yellen’s mildly dovish tone during her 2-day testimony before Congress. A delay in raising US interest rates could affect the dollar’s relentless rise since around the middle of 2014 and could make the dollar more of a 2-way bet. This is one possible reason the greenback’s rally has stalled in recent weeks. The aussie retreated back from its challenge of the 79 US cents level following weaker-than-expected fourth quarter business investment. Business investment fell to a 3-year low in the country as a result of the fading mining and commodities boom. This in turn bolsters the case for more interest rate cuts by the Reserve Bank of Australia. 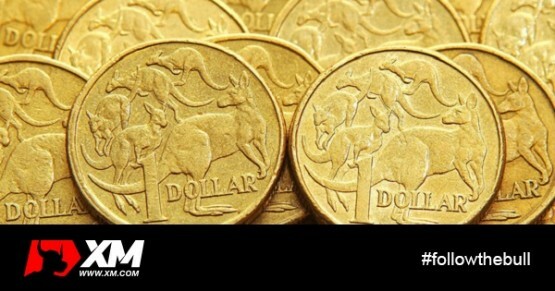 The Australian dollar was last buying 0.7852 US dollars. Sterling was strong trading near a new 8-week high against the US dollar at 1.5551 and the euro dropped to a fresh 7-year low of 0.7307 versus the pound. The pound was waiting for the revision to fourth quarter UK GDP later in the day, which is not expected to result in any changes of the initial 0.5% quarter-on-quarter increase. For the remainder of the day, the market will focus on Eurozone business, economic and consumer sentiment while later in the US session, inflation and durable goods orders will also attract attention.